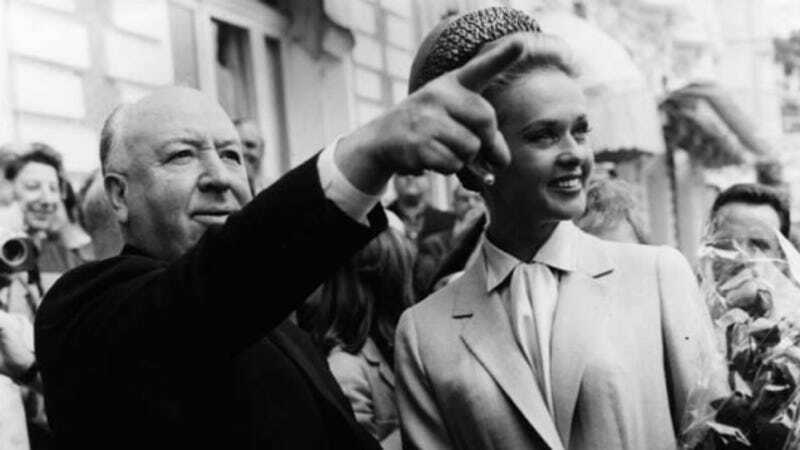 Alfred Hitchcock has long been accused of putting his "cool blondes" through the ringer on movie sets; as a kid, I remember my mom telling me that Tippi Hedren had a real-life nervous breakdown on the set of The Birds after she filmed the famous attack scene, during which actual birds were hurled at her face for hours. But, as it turns out, the traumatic on-set incidents were the symptom, not the cause. HBO's upcoming movie The Girl divulges the full range of abuse that Hitchcock put Hedren through on the set of The Birds and Marnie, which escalated to full-on blackmail: when she refused his sexual advances on-set, he guaranteed that she would never work again by holding her to a contract with him. Because of the studio system of the time, contract players were bound to their directors, and it effectively ruined her career. Hedren, now 82, spoke at a panel discussion for The Girl, starring Sienna Miller and Toby Jones and based on a book about Hitchcock and herself entitled Spellbound by Beauty. I think he was an extremely sad character. We are dealing with a brain here that was an unusual genius, and evil, and deviant, almost to the point of dangerous, because of the effect that he could have on people that were totally unsuspecting. Even Hedren's daughter Melanie Griffith (who appeared in The Birds as a child) had been unaware of what her mother had gone through, and, upon rewatching it, "jumped up and said, 'Now I have to go back into therapy," recalls Hedren. Finally, she says that she survived it beautifully. "He ruined my career," she said, "but not my life."